Why fund managers aren’t Connoisseurs. In the first two articles on Lee’s book, we looked at what to do – and what not to do – when you are losing money. Today we’ll look at what to do – and what not to do – when you are winning. The Raiders sell winners too soon, afraid that their winnings will disappear. They may end up in profit, but by less than they should. Some of Lee’s investment managers sold when they were up as little as 10%. Raiders don’t Let Their Winners Run. And because they don’t, a few large losses can wipe out their gains. The Raiders were “right most of the time but still lost money”. Lee looked at the impact of taking a profit when a stock was up by 20% or less. 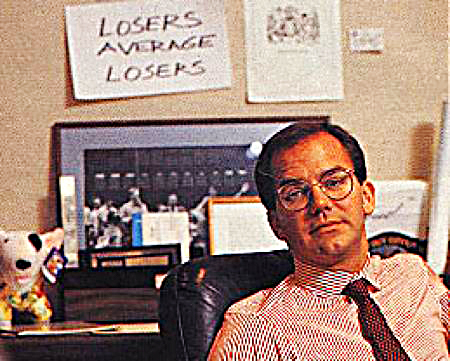 66% of his team’s winning investments (611 stocks) fell into this category. Of these, 61% (370) kept going up. Taking small profits is like picking up pennies in front of an oncoming train. It only works until the train comes along. Lee provides a list of reasons why the Raiders sold early, though I’m not sure how much of a help this is. It’s a win, and you get hooked on the pleasure hormones. They are “present-biased” and prefer £1 today compared with £2 tomorrow (hyperbolic discounting, or “bird in the hand” syndrome). It’s well known that the pain of a (potential) short-term loss is stronger than the pleasure of a long-term gain (myopic loss aversion). Apparently the immediacy of the internet has made this problem bigger. Phone traders who outperformed the market by 2.4% pa turned this in to a 3.5% pa loss when they switched to trading online. The stocks they switched into underperformed the ones they sold by 2.3% pa. In 1979, Tversky and Kahneman showed that people are risk-averse when winning (hence they take profits)­ but risk-seeking when losing. When losing, risk seems good because it offers the prospect of something other than the certain loss. When winning, risk offers the prospect of losing your profits, so there is pressure to sell. Lee mentions Deal or No Deal, where the “banker” regularly persuades people to stop playing through a low-ball offer. They will accept a certain low prize rather than end up with (almost) nothing. Big winners are rare, and you can’t afford to throw them away. Stock market returns are positive, but show kurtosis (fat tails). Big winners and losers distort the overall return. Of the 1,866 investments that Lee analysed, only 21 (1%) returned more than 100%. 42% of profit-taking happened in the first 3 months, and 61% by six months. Only 2% of profits were taken after three years. Since only 49% of the trades Lee looked at were winners, the odds of getting five winners in a row was less than 2%. So hang on to the ones you have. Investors think when they have banked a profit, they have nothing to lose. This is known as the “house money” effect, and makes them less risk-averse. Momentum investing is a winning strategy. Lee says that its ok to sell a winner if your reason for investing has been proved wrong. You got lucky and made a profit, but you have no conviction, so take the money. The one lesson for private investors is to not check the value of your portfolio too much. The more you do, the more volatile it will seem, and the more likely you are to see stocks showing losses. I hope you’ve all heard of this one by now. A child is given a marshmallow and told he will get another if he can avoid eating the first one for a period of time (sometimes 5 mins, sometimes 30 mins). It turns out that the test is a great predictor of life outcomes. Those who can defer gratification do much better in life. Obviously, the Raiders are the ones who fail this test. Lee describes the Connoisseurs as “the most successful investment tribe I discovered”. This was despite them having a lower hit rate than some other groups (only 35-40%). So they had to be an Assassin or a Hunter with their losers. And when they won, they won big. The way they approached the marshmallow test was “to take a small bite and leave some for later”. 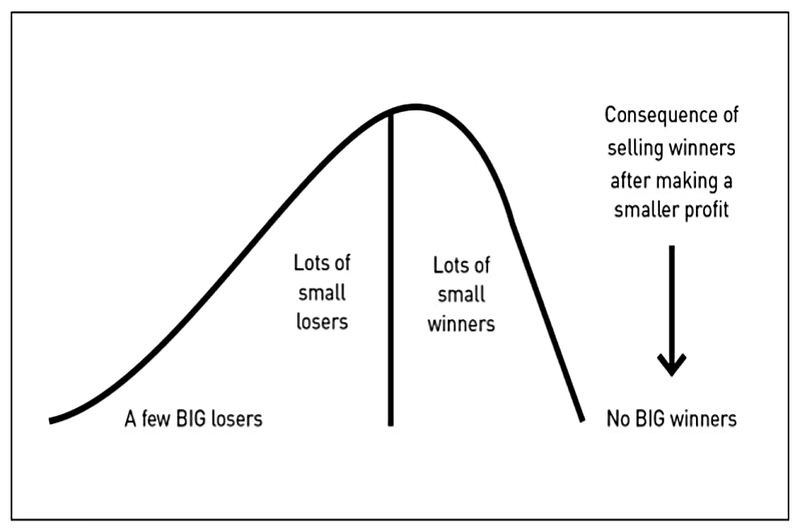 Taking small profits along the way is the Connoisseur’s trick. Connoisseurs want to hold companies for 10 years or more. So they look for “low `negative surprise” companies. Even bad management should struggle to stop these firms making profits. They should have predictable earnings growth, and not be too highly rated to begin with (PE > 20). With a low win percentage, the wins needed to be big. 10% to 30% gains are no use. Generally Connoisseurs don’t use price targets. Connoisseurs might end up with 50% of their portfolio in two stocks. Lee allows his traders to put of to 25% into a single stock. This refers once more to the “trick” of regularly taking small profits along the way. Have a high boredom threshold. When you hold winning stocks for years, not much changes. This sounds a bit like Cut Out The Noise. Lee picks out Jeff Bezos – briefly the world’s richest man last week – as a Connoisseur: “he had a large stake in Amazon and he never sold out”. And so was Steve Jobs. In brief, they over-diversify to limit career risk. They are judged in the short term against peers and indexes. So they wouldn’t take concentrated positions in long-term winners, even if regulations allowed it. Lee quotes academic support for `best ideas’ investing – another name for concentration. More than 70% of best ideas did not overlap across managers … and only 8% of best ideas overlap over three managers at a time. What if each fund manager had only to pick their best ideas? Could they outperform? There is strong evidence that they could, as the best ideas generate an order of magnitude more alpha than their whole portfolio. The poor performance of mutual fund managers is not due to a lack of stock-picking ability, but rather to institutional factors that encourage them to over diversif. Managers attempt to maximise profits by maximizing assets under management – while investors benefit from concentration. Half the returns come in the first third of a bull markets, and two-thirds of returns in the first half. That’s why regularly taking profits makes sense. You can get stuck (in a crowded trade). Or rather, you’ll get out at a bad price. Again, taking some profit over the years is therefore a good idea. The way to build long-term returns is through preservation of capital and home runs. Many managers, once they’re up 30 or 40 percent, will book their year … The way to attain truly superior long-term returns is to go for a 100 percent year. Lee stresses the importance of execution and habit in the best investors over brains and privilege. Even if they were wrong most of the time, they would still make a lot of money. Invest in just a handful of your very best ideas. But not one idea, since your odds are basically 50/50. Put a lot of money in each idea. But you need half-a-dozen bullets. Stop aiming for 20% and look for “ten baggers” instead. This is almost a corollary of number 1. Refuse to adapt when losing. I’ve been somewhat staggered to discover that the second half of the book – yes, we’ve covered half a book today – has even less content than the first half. Top-slicing along the way, if it keeps you in the trade. I suppose the positive way to spin this is that some fundamental principles have been vindicated by real-world data from top-class investors. You can read more on this here – Don’t Average Down. I wrote about concentration recently in a profile of the pseudonymous trader “Taylor“, and I will run the risk of repeating myself here. Buffett advises that we treat investing as though you have a 20-slot dance card. Once you’ve made 20 investments during your life, you have no more slots for new purchases. While I agree with Buffett (and Lee, and Taylor) that you are unlikely to make more than 20 life-changing investments, my issue is with portfolio size. When you have a small portfolio, you can making big bets in order to grow the size of your pot. When you are a multi-billionaire, you need to take big positions in order to move the needle. But for the majority of investors in the middle ground (£500K to £10M portfolio size) the safety and stability provided by diversification is very welcome. I hope you’ve managed to get something out of this book, even if it’s only the fact that top fund managers use the same simple rules that we do. I’ll be back with a new book in a few weeks.